My grandfather has stopped eating, and I feel nothing. 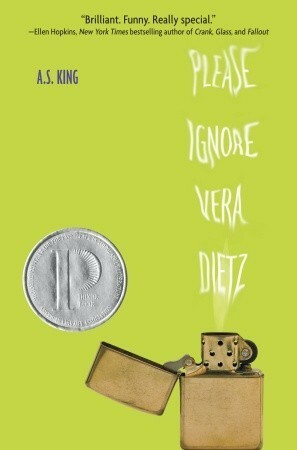 On the surface level, Please Ignore Vera Dietz is about the death of a girl’s best friend. But, because that would be too easy, it’s much deeper. Vera Dietz, the girl in question, has spent a solid portion of her life in love with Charlie Khan – the same boy she hung out with when she was a kid. Then high school happens, and their relationship takes a turn for the worse. Vera comes to hate Charlie; however, when Charlie dies in a devastating way, will she be willing to clear his name? Eddie Reeves’ father committed suicide, but she doesn’t know why. There seems to be no reason – he was a famous artist, a talented photographer, and had a loving family, most importantly, her. While entrenched in her grief Eddie meets Culler, his former student. They form a dangerous attraction and embark on a mission to piece together the broken picture of her father’s death. 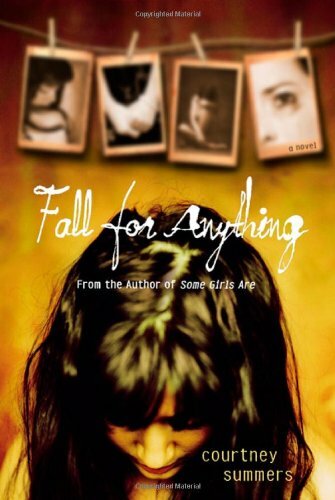 Another powerful book by Courtney Summers. Like a punch in the stomach, Fall for Anything surprises the reader, seizing them and forcing them to feel Eddie’s anguish. I think the writing – and the emotions evoked by the writing – were enough to justify giving this book 3.5 stars, even though I’m not sure if I actually liked it at all. I did not like the plot in this one as much as Summers’ first two novels. Sure, if one of my family member’s passed away I would be overcome with despair and angst, but I do not think I would travel around with some strange twenty-year-old who randomly takes pictures of me. I also predicted the twist about halfway through the novel, which may have lessened my enjoyment when it occurred. I don’t want to spoil anything, so I’ll end this review by saying that I wish Summers’ had focused more on the aspect of recovery rather than the descent into depression Eddie experienced. “I imagine diving under, swimming down, down, down with my eyes open and not being able to see anything in front of me. Not even my hands. I imagine forcing myself farther down, until I feel weeds everywhere, brushing the sides of my arms, my feet, and then I’m surrounded. Tangled up in them so bad the lake would have me forever. I imagine drowning and what that would feel like, if I’d be scared. If I’d let it happen or if I’d fight it. I read in a book once you can’t drown yourself. Your body will fight to survive, whether you want to or not. “Sometimes I feel hunted by my grief. It circles me, stalks me. It’s always in my periphery. Sometimes I can fake it out. Sometimes I make myself go so still, it can’t sense that I’m there anymore and it goes away. I do that right now.